I must really like this pattern because I used it 5 times! 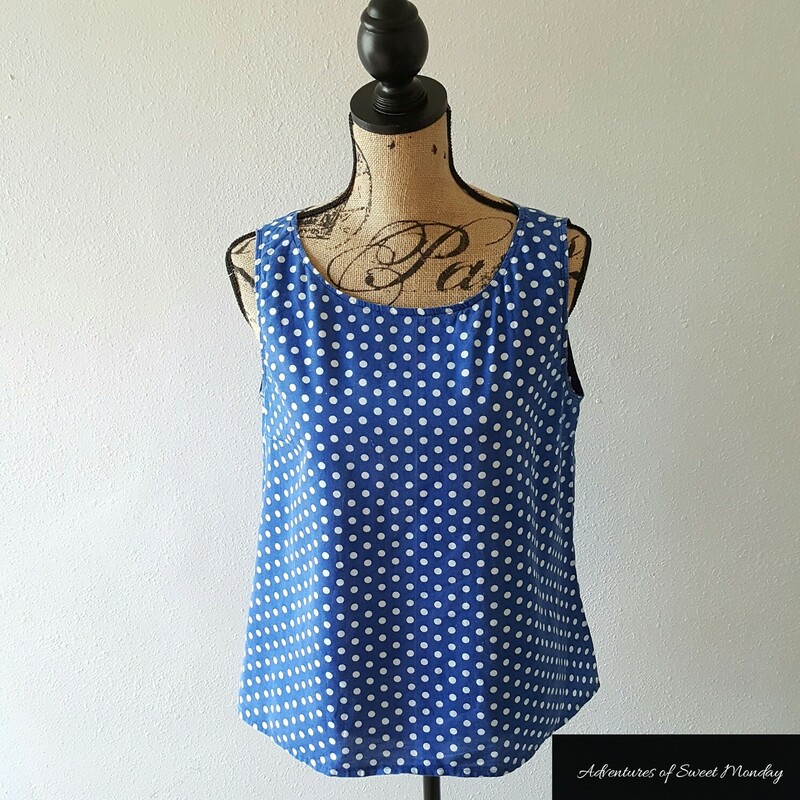 I made two tank tops using view F and two tank tops using view C. I also made a top from view F by adding cap sleeves to the tank top pattern. 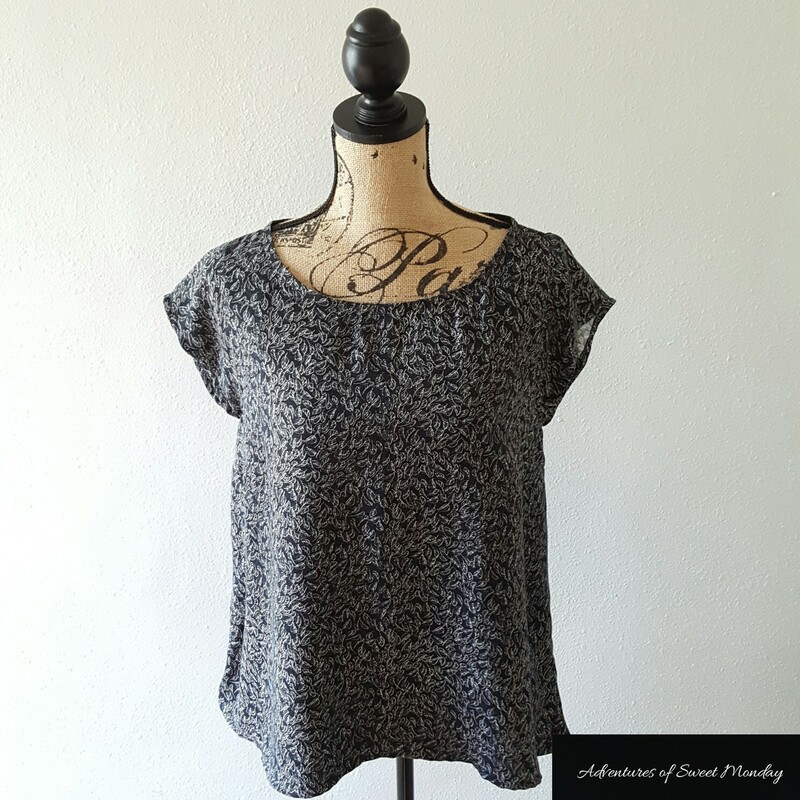 So, here is a top using view F.
The back has a little keyhole. Since I’m still learning to sew, I didn’t sew in a button at the top of the keyhole. I’ll learn how to sew a button on someday. Luckily, my head was able to fit through! 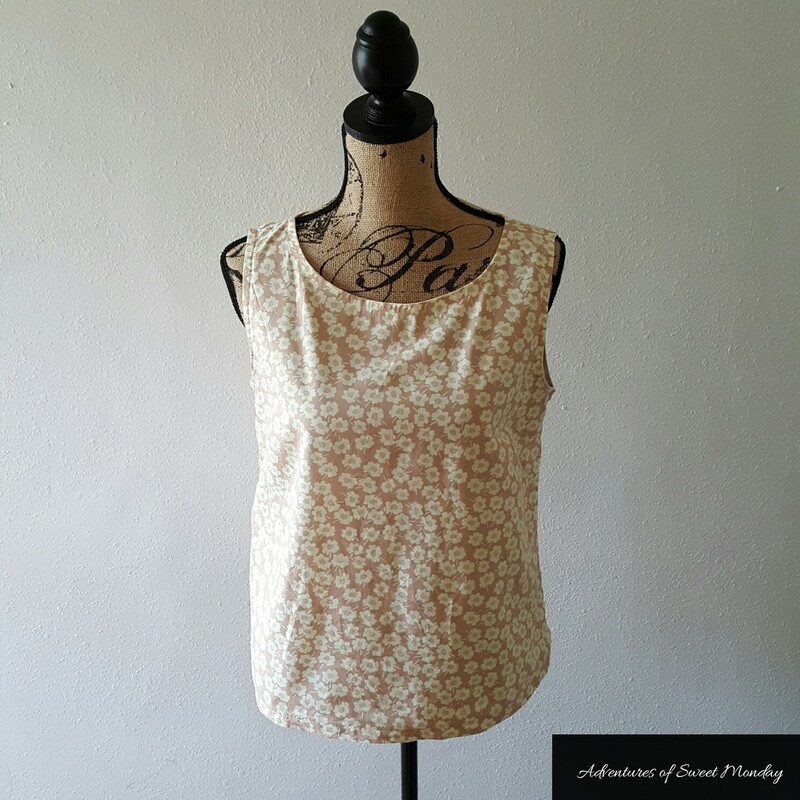 The fabric that I used for this tank top is a crepe de chine. I like how it drapes. 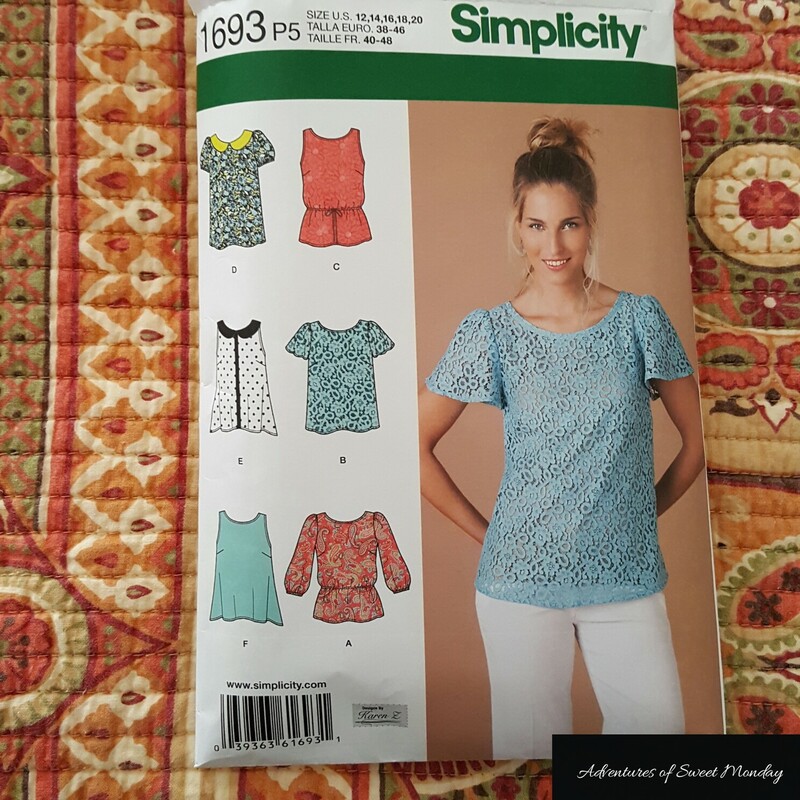 Here is a top using view C. I opted not to put in the elastic at the waist. This view requires only ONE YARD of fabric! That is awesome because I’m always looking for one yard wonders. This fabric is cotton. Not very drape-y, but I think it looks good with jeans. I originally bought this fabric to sew napkins, but I decided to try it out on this pattern instead. 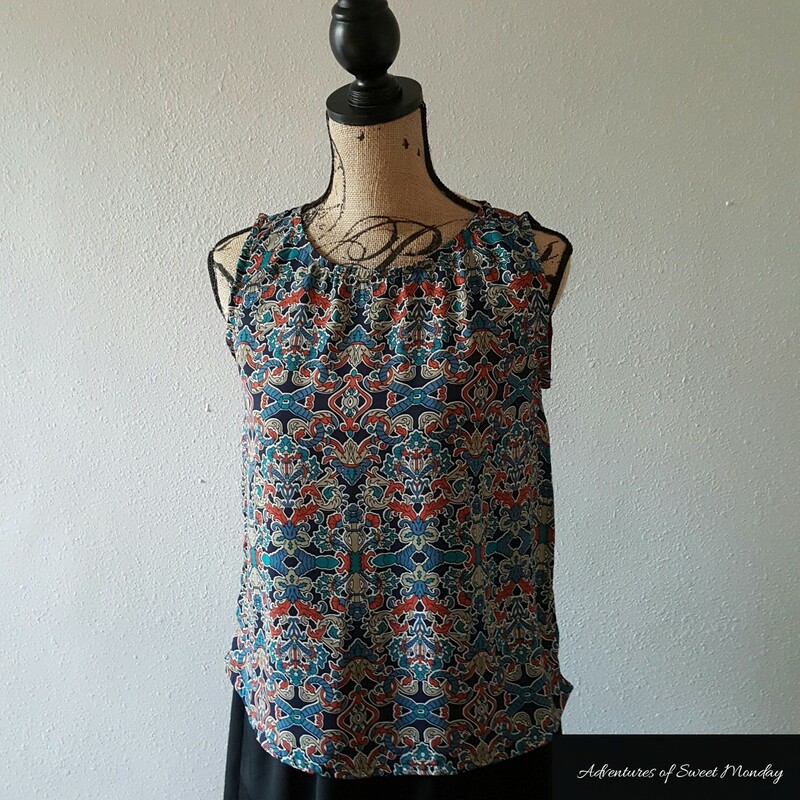 So here is another tank top using view F. I should mention that this top is longer in the back, so it has a high-low look. I used cotton fabric to make this one. This fabric was also intended for sewing napkins, but I changed my mind and made a top instead. Here is view F again, but I added cap sleeves to it. I used a challis fabric. Soft and flowy. Here is view C. I had one yard of fabric leftover from a dress that I made. So I made another tank top. Safe to say that I’ve had a lot of practice making tank tops this summer! Perfect for those hot summer days.